We believe that the best software is easy to use but the hardest to create. This release is a perfect example of that. Guardian’s new Suggestions Framework uses behind-the-scenes data to make logical suggestions for certain actions. In your quest for effective and enforced standards at your firm, we invite you to consider the substantial effect these new features will have on your processes! Guardian making a mapping suggestion for a duplicate text type. 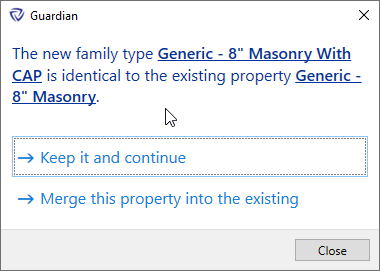 This is all especially compelling because once a duplicate is identified, Guardian can use (at your direction) its robust ability to merge properties together. It does this by seeking out all places the properties are applied (yes, even inside of family structures, regions, etc.) and changing out the values before removing unnecessary duplicates. This powerful ability is manifest through the new Suggestions Framework and proactive prompts to your users. Guardian will then present a series of dialogs to step through, each one providing valuable insight into the ‘DNA’ of the properties. After exploding CAD, a matching text style is found for the new text style. Besides properties being duplicates of each other, you will see other forms of suggestions appear here also. We think you’ll REALLY appreciate the additional insight this provides. We’ll be developing more suggestions as we go. This feature is not just for NEW properties, but also modifications to existing ones as well. Patterns are now separated by Model and Drafting types. 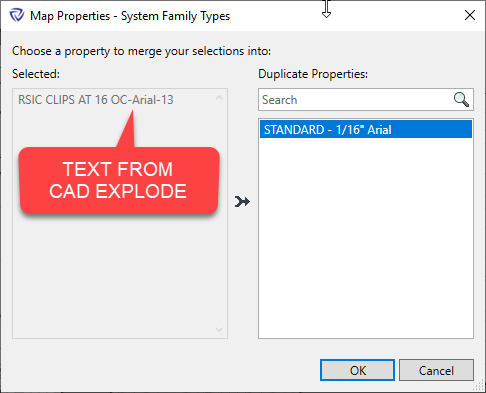 The size and location of all re-sizable dialogs will now be remembered in your Revit session. Additional insight to mapping behavior is available by clicking “Show More”. When you are mapping properties, sometimes conflicts can exist in existing rules that you’ve set. We’ve overhauled the dialog that you see in these cases to be more simple and informative. 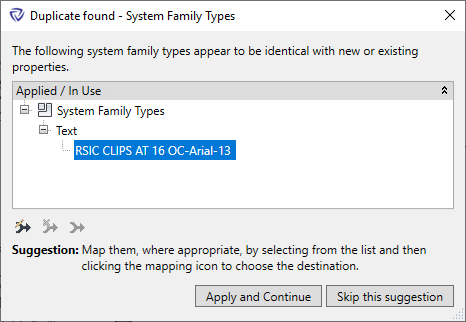 Double clicking on list items will open the mapping dialog. Improvements were made to the logic of registering projects. Now, multiple companies can register Guardian on the same projects. Our cloud services now have robust error logging. We’ll now have valuable insight when errors arise and how to fix them. Guardian is now smarter with an improved ‘knowledgebase’ of where properties can be stored. Many bug fixes and performance improvements. We hope you like this release! It’s sure to be a very exciting year for Guardian. We invite you to jump aboard this thrilling journey with us! This minor release fixes a number of bugs and improves the use of 3rd party add-ins that load content. There are a number of features added also! Guardian just got smarter! Automated suggestions allow valuable insight into potential cleanup opportunities. Lots of great under-the-hood improvements too! 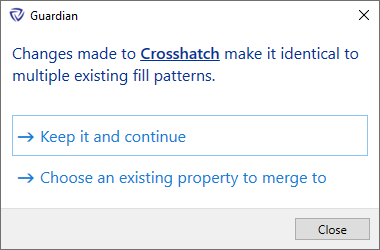 Control the user behavior by adding or removing your own custom transactions. Also protect or warn users from certain actions, like exploding CAD or purging unused elements! Connect your projects with cloud-driven rules! Admins have full transparency into who created rules and when. Also, control how projects are automatically registered using the new Company Settings!. View Scales, Bug Fixes, etc. New features available to subscription users, including the ability to export high resolution images, gradient backgrounds, etc.! Is it a chair? Is it a switch? It's a pipe fitting! We are thrilled to introduce this first version of P.I.G. allowing you to instantly save your users time.